It was incredibly bright! Cygus was much dimmer, but definitely visible. So cool. I have had the pleasure of seeing the ISS pass overhead several times. A few times when entertaining company. Looks like a bright planet zooming by. I tell you anything to do with space will never ever bore me. Three for three tonight.  Could hear the space station each time. But not the other one. Won't be up for the final one tonight.